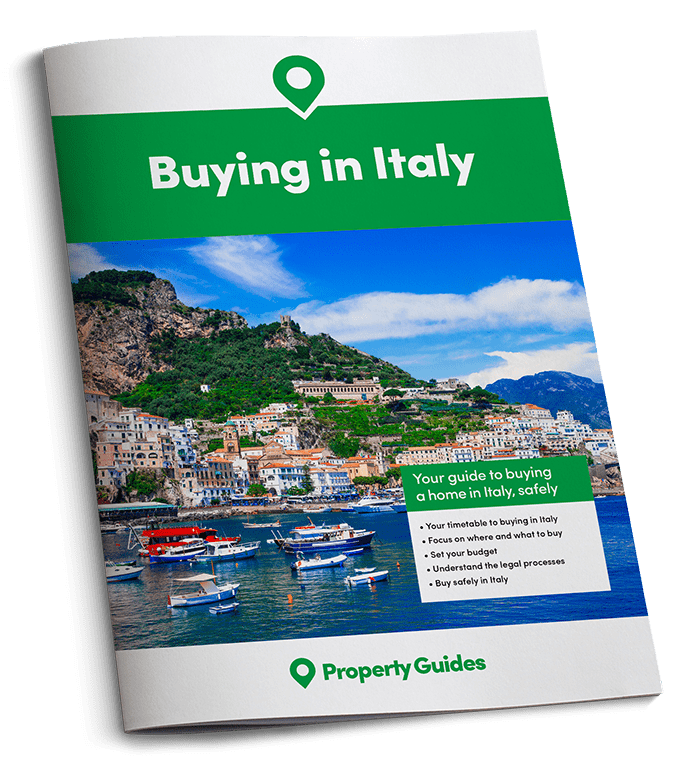 If you enjoyed the heatwave in Britain and have been complaining about how quickly British summer time is over, it’s not too late to get on a plane to Italy. In the last week of June the heatwave hit Italy big time, with shade temperatures even in the north reaching over 37°C. From now until September it is forecast that temperatures will reach highs of 29°C to 35°C across the country with little chance of rain in most areas. Fortunately, you will never be far away from a gelateria or bar, selling gelato and granita. Italy has in the region of 37,000 gelaterie (gelato shops) providing jobs for 150,000 people, with the highest number in Lombardy (6,093), Veneto (3,512) and Emilia Romagna (3,273). 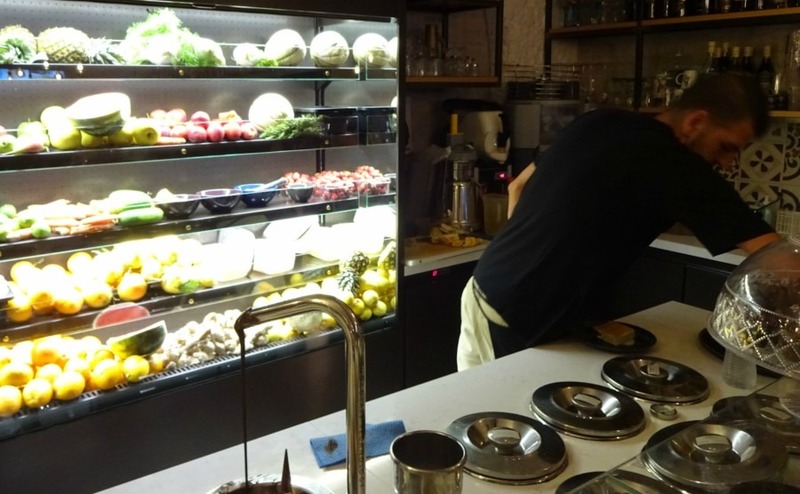 The glass cabinets of cafes that displayed cakes in the winter are now filled with delicious gelato. Gelato isn’t the same as mass produced ice cream you buy from a shop freezer. Italian gelato contains less fat than ice cream, isn’t puffed up with air, and is served at a slightly higher temperature. Consequently, it provides a greater flavour experience for the taste buds. To find out more about the history of gelato and how it is made you can visit the Gelato Museum near Bologna and watch their video. Authentic Italian gelato is produced fresh every day, in small quantities, and sold directly to the public. The large number of flavours available are usually based on fresh Italian ingredients that often reflect what fruit is in season, without added colours and flavourings. Some shops display high mounds of brightly coloured gelato, which look fantastic, but to experience a fresh and natural gelato look for the words “gelato artigianale”. Often these shops keep the gelato in covered tins, with the list of flavours on the wall. You might also see the gelato being made. Once you have tried a smooth gelato with its intense natural flavour you’ll definitely be coming back for more. With so many to choose from, it would be rude not to try a few. Here are some of the most popular flavours during the summer: fragola (strawberry), pistacchio (pistaccio), limone (Lemon), amarena (cherry), albicocca (apricot), cioccolato (chocolate), melone (melon), pesca (peach), gelsomino (jasmine), zuppa inglese (trifle), nocciola (hazelnut) and fior di latte (flower of the milk). A competition is held each year to find the best gelato flavour. After the qualifying finals, 36 flavours from around the world will be chosen to compete in the Grand Finale in Rimini on the 8th September 2017. The Gelato World Tour is directed by Carpigiani Gelato University, the world’s most renowned school for successful gelato entrepreneurs. They have taken the tour to Valencia, Melbourne, Dubai, Austin, Berlin, Singapore, Tokyo and Chicago. An interactive map is available to enable you to find the locations of the Italian entries. If you already know where you’re looking to buy a home, why not head over to our property listings and see what you could afford in each region? Don’t forget to have a chat with Smart Currency Exchange too, to see how many euros you will get for your own currency. Quality gelato is always served using a paddle rather than a scoop, and it’s amazing how much they can squeeze onto a small cone (un cono). If like me you tend to get in a mess with a cone, ask for a tub (una coppetta). They come in small (piccolo), medium (media) and large (grande), but I find that piccolo is plenty as they squeeze in the equivalent of two scoops and you can even choose a combination of two flavours. A good gelateria will let you taste before you buy and “una coppetta piccolo” usually costs between €1.50 and €2.50, depending on how touristy the area is. On a blazing hot day, there is nothing more refreshing than a granita, which is flakes of ice flavoured with syrup. Sometimes the ice is smooth like a slush and is served out of clear dispensers that are continuously freezing and churning it. In other places, you might see them scrapping it from a large block of ice producing quite chunky flakes, particularly in Sicily, where it has a more crystalline texture. For the healthiest option with the best flavours look for ones made with fresh local fruit. Popular flavours to ask for are “una granita al limone” and “una granita alla fragola”. 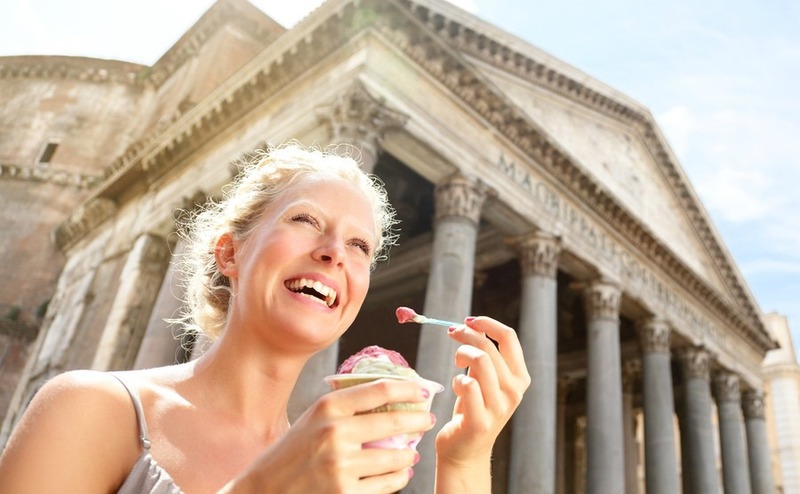 On a hot summers day in Italy there is nothing more refreshing or cooling than a gelato or granita while sitting in your favourite shady spot with a view of Italy’s stunning scenery and architecture.